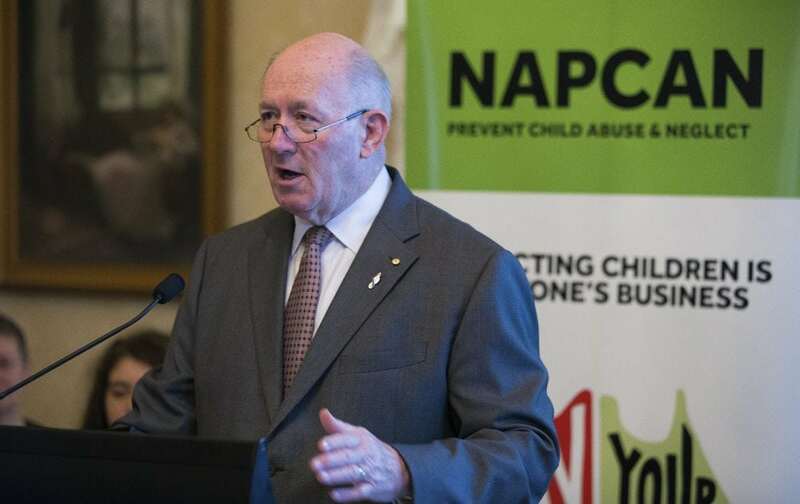 Governor-General Sir Peter Cosgrove today launched National Child Protection Week and announced the winners of this year’s Play Your Part Awards, shining a light on some of the best work being done to combat child abuse and neglect. Organised by the National Association for Prevention of Child Abuse and Neglect, the awards announced at Admiralty House recognise inspiring initiatives that promote the safety and wellbeing of children and young people. The National Play Your Part Award for 2016 has been awarded to yourtown’s, Kids Helpline, the only 24-hour free phone and counselling service for children and young people aged five to 25. Kids Helpline has been recognised for their work in keeping children safe, valuing and nurturing children to prevent abuse and neglect and supporting those already affected. yourtown (formerly BoysTown) CEO, Tracy Adams, is grateful for the recognition and says they will continue to listen, protect and care for children and young people around Australia. She says Kids Helpline started 25 years ago to ensure all children knew there was someone there for them – to listen, to protect and to care at any time. In the last year, more than 40,000 children were officially reported as suffering abuse and neglect in Australia. NAPCAN aims to prevent child abuse and neglect by assisting communities, governments, organisations and committed individuals across Australia and internationally to implement strength-based, community-led initiatives to enhance the safety and wellbeing of children and young people. During National Child Protection Week from 4-10 September, each state and territory will host its own events, including the presentation of 13 State and Territory Play Your Part Awards. During NCPW, a number of prevention initiatives will be launched, including the ‘Stronger Communities, Safer Children’ report developed in association with the Australian Institute of Family Studies (AIFS), which outlines key findings from up-to-date research on prevention success. Kids Helpline, yourtown – Free and confidential 24/7 phone and online counselling service for young people ages 5 to 25. WINGS Drop in Centre, Maari Ma Health – An after school and holiday safe haven for the children of the geographically isolated, largely Aboriginal community of Wilcannia. KARI Scholarship Program – Supports the education of Aboriginal children in Western Sydney by offering scholarships to young people in year 11 and 12. Mentoring Mums, Children’s Protection Society – Assists vulnerable new mothers who might have experienced family violence, are isolated, or from a low socio-economic background and are struggling personally with caring for their baby. Ardoch Education Volunteers Program – Provides schools in disadvantaged communities with 250 adult volunteers a year to support the students’ education. Parentline, yourtown – A confidential telephone and online service that provides professional counselling, education and support for parents and carers of children and young people. Deadly Dukes, PCYC Ipswich – A variation of the Duke of Edinburgh award scheme for Aboriginal and Torres Straight Islander students. Sarah Decrea, Relationships Australia’s Ngartuitya program – An inspiring individual who has redesigned a range of programs to be culturally appropriate and accessible to Aboriginal families in the region. Know Before You Load App (Australian Council on Children and the Media) – Assists parents in finding age appropriate and enjoyable apps for their children and avoid those that promote simulated gambling behaviour. Safe Clubs 4 Kids coordinated by WA Sports Federation – Aims to create safe environments for children involved in sport and recreation by raising awareness, creating behaviour change and normalising the sensitive topic of child safety. Child Aware Local Initiative, YWCA – An early intervention and prevention program that has been critical in keeping vulnerable children in the area safe through initiatives such as co-location of services. Child Health and Parenting Service (CHaPS) – A community-based health service focusing on the early years of a child’s life. Smile-a-mile Toy Library – Mobile play sessions and a toy library accessible to regional and remote areas of the state. Katherine Isolated Children’s Service (KICS) – Provides very remote and isolated children the chance to participate in Early Childhood learning through a play-based program. NCPW is from 4 – 10 September and involves community events all around Australia. To find out what’s happening near you, click here.